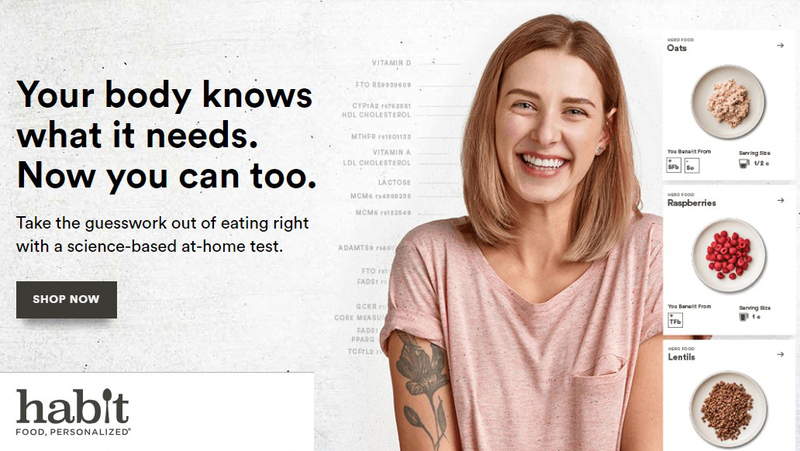 07 Feb 2019 --- Wellness start-up Viome has entered into an agreement with Campbell Soup Company to acquire Habit, a personalized nutrition company that seeks to “take the guesswork out of eating right.” Viome reports it will combine its insights from the microbiome with Habit's nutrition plans and consumer data and engagement tools to offer the first “whole-body” approach to human health. By combining their competencies, Viome is vying to create “the most comprehensive solution on the market.” Financial terms of the transaction have not been disclosed. Viome uses artificial intelligence to uncover and address issues in the body related to the microbiome. Viome targets the bacteria, viruses, yeast, fungus and mold in the system that work symbiotically with the body to provide appropriate nutrition. The acquisition will allow Viome to expand its core offering by gaining access to Habit's insights for consumer behavior modification. This will allow the combined companies to provide a richer consumer experience and deepen personalized recommendations with nutrition plans and engagement tools. “It is about giving a consumer exactly what they need from a nutritional standpoint to feel well and to lead a positive life,” he says. “We are seeing a number of companies with several different business models that can deliver either personalized supplements to consumers, or even personalized meals and nutrition solutions. There is such a revolution happening in technology right now that that may be the trigger to a whole wealth of innovation,” he notes. Campbell Soup’s decision to divest Habit – at a time when personalized health and wellness offerings are projected to grow – comes after its August 2018 announcement that it would seek to shed its non-core businesses and focus on two distinct businesses: Campbell Snacks and Campbell Meals and Beverages. The company announced it would pursue the divestitures of non-core businesses, using the proceeds to significantly reduce its debt and increase its cost savings target to US$945 million by the fiscal year 2022. Click to EnlargeImage credit: Habit.Personalized nutrition and health solutions have been hailed as the industry’s future for a while now. Viome’s acquisition of Habit will mean the combining of two innovative, smaller start-ups into a total solutions player. With advanced RNA sequencing technology becoming more affordable and AI becoming more powerful, Viome is able to blend the two to understand the human body at the molecular level and provide personalized food recommendations based on each individual's unique biology. Speaking to NutritionInsight last summer, Jain highlighted the importance of the diet on the microbiome, and by extension, overall health. “Balanced microbiome in our gut is the key to reducing chronic inflammation and personalized nutrition is key to achieving balanced gut and maintaining good health. Microbiome testing that allows you to understand not only what microbiome exists in your gut at the strain level, how active they are and most importantly what your microbes are producing is the only way to get to precise and personalized nutrition,” Jain says. “It has become very clear that there is no universal healthy diet. A diet that’s good for one person is not good for another person. Even a diet that’s good for the person today will not be good for that person a few months from now because our gut microbiome will change to adapt to the new diet,” he continues. Campbell Soup has been Habit's sole strategic investor and majority shareholder since the company's inception in 2015. Since then Habit has provided tens of thousands of consumers with personalized nutrition guidance to support individuals on their health journey.